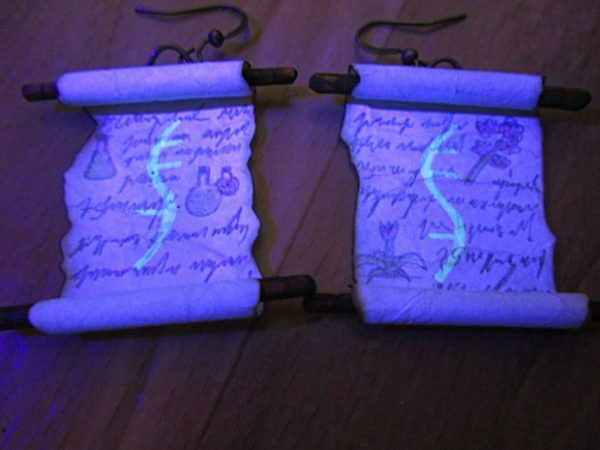 Make Spell Scroll Earrings to Go with Your Wizard Costume « Adafruit Industries – Makers, hackers, artists, designers and engineers! If you happen to be dressing like a wizard, mage, sorcerer, or other kind of spellcaster in the near future, Instructables user Dreamchronic has a fantastic accessory idea for you. He’s come up with wearable spell scroll earrings that you can put secret messages on. They’d be a fun everyday accessory, actually. 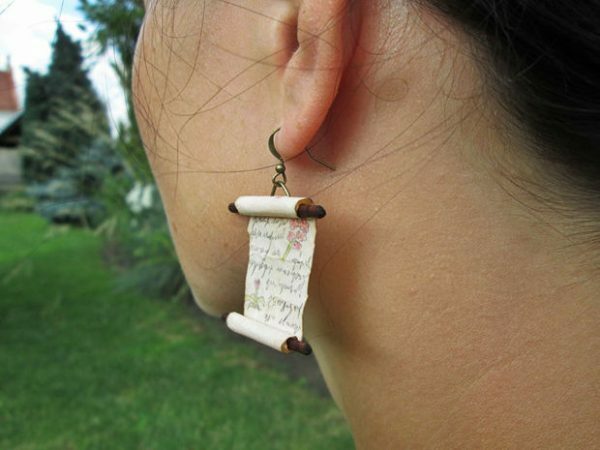 The scrolls are made from paper, food coloring, earring hooks, and a few other supplies. The secret message part comes from a security UV set that has a marker pen and a LED flashlight. It’s up to you whether you want to try to write very small so the spells have legible words or whether you want to follow the example in the Instructable and just make the marks on the scrolls look like writing. You could definitely translate this idea to a necklace. Get the complete how-to at Instructables.